The history of legal Oregon sports betting is more interesting and complex than your typical state. Back when the Professional and Amateur Sports Protection Act (PASPA, 1992) was signed into law, Oregon was actually exempt – kind of. While only Nevada was exempted from PASPA in a way that let them offer the full-service, single-game sports betting we’re all used to, Oregon was allowed to continue offering its so-called “sports lottery,” which consisted solely of NFL parlay picks and was overseen by the Oregon Lottery. However, this was banned in 2007, when the NCAA refused to allow the state to host the NCAA basketball tournament unless the sports wagering product was removed from the market. Oregon caved, and they’ve been regretted it ever since. All that said, with PASPA overturned by the Supreme Court in 2018, legal Oregon sports betting could come back in a big way. Indeed, Delaware was exempt from PASPA on almost identical terms, and the state was able to use its prior lottery oversight of their sports lottery product to install full single-game wagering without any legislative action whatsoever. This could be an effective model for legal sports betting going forward in Oregon, though the state’s handful of Class III tribal casinos (there are no commercial casinos in OR) might have something to say about that, depending upon the nature of their signed compacts. In any case, legal land-based Oregon sports wagering should be a reality sooner rather than later. 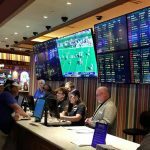 Is Land-Based Sports Betting Legal In Oregon? Right now, land-based sports betting is not legal in Oregon, as the state abandoned its little sports lottery endeavor years ago at the behest of the meddlesome NCAA. However, now that PASPA is no more (which, ironically, put the NCAA in its place, as they were defendants in the landmark Murphy v. NCAA, Oregon can finally begin the process to establish its own land-based sports betting legislation and industry standards. That said, there’s no telling how long such will take, and in order to legally wager on sports in the meantime, you should consider using a legal offshore sportsbook that is freely accessible over the Internet. Betting sites like Bovada, SportsBetting, BetOnline, 5Dimes, and others serve OR residents, and they’ve been taking wagers in the Beaver State for nearly three decades. Is It Illegal To Bet On Sports Online In Oregon? No, it is not illegal to bet on sports online in Oregon. However, there is a catch: The sportsbook(s) you use cannot be physically located in Oregon or anywhere else in the US. If you use an offshore sportsbook located in a foreign country, however, you are breaking no laws placing bets with such services. Additionally, these services are breaking no state or federal laws, as they operate entirely outside the purview of the American legal system. Another benefit of using overseas sportsbooks is that you can typically use a number of different deposit options (like Bitcoin and other cryptocurrencies), which sportsbooks in the US – like those in Las Vegas, for example – simply do not accept. However you choose to fund your account, though, it remains 100% safe to use these legal Oregon sports betting websites. Is There Anywhere In Oregon That I Can I Bet On Sports? Unfortunately, there is not anywhere in Oregon that you can bet on sports, at least in any land-based capacity. While the state is home to several tribal casinos, none of these currently offers sports betting (although there is precedent for them to be able to do so, given how New Mexico handled the same situation post-PASPA). All that notwithstanding, you can actually wager on sports in Oregon from pretty much anywhere in the state by going the online route. As long as you use an offshore sportsbook (Bovada et al. ), all you need to place a legal Oregon sports bet is a cellular data or Wi-Fi connection and a smartphone, tablet, or computer with a modern browser. If you’re looking for the closest place to you to bet on sports in Oregon, you have one option: the Internet. Outside of offshore sportsbooks, there are currently no active land-based venues in OR that allow sports wagering. However, when the state finally finalizes its sports betting laws and allows the industry to get up and running, sportsbooks should come – at the very least – to the cities that currently offer active Class III tribal casinos (all of which are located within a 4-hour drive from Portland). 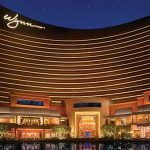 These venues are mostly spread around the western half of the state, and the cities where you can expect sports betting in the future include the following. Right now, if you live in Oregon and wish to wager on sports at a land-based venue, you will have to make a trip south to Nevada. 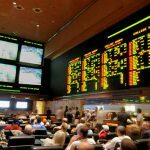 This, of course, is a time-consuming and expensive proposition compared to simply placing sports bets on your iPhone or Android at any of a number of reliable offshore sportsbooks, but it remains a viable option, particularly for those who wish to combine their sports wagering with a ritzy vacation at a nice resort casino. Oregon has several sports betting and gambling laws, and while the majority of them are fairly broad, boilerplate bans on commercial casinos (deferring to the state’s tribal compacts), there are a few noteworthy points in the Oregon Revised Statutes. The most applicable statute re online sports betting, for example, is located in Volume 4, Chapter 167.108 et seq. This law discusses “Internet gambling” specifically, noting that the only prohibited parties when it comes to betting online are persons “engaged in an Internet gambling business.” That is, the rule only applies to bookmakers and those running online gambling houses operating inside OR or elsewhere in the US. The law makes no mention of bettors placing wagers over the Internet, lending even more credence to the fact that it is 100% legal to use offshore sportsbooks like BetOnline, Bovada, 5Dimes, etc. In 2019, Rep. Brad Witt (D-31) filed a bill proposal (HB 2288) that establishes the taxation rates and regulatory framework for sports betting revenues. It also presupposes that any sports wagering will be administered by the state lottery. This is a positive development, as it seems to indicate that congress would not need to approve a wholly new series of laws to actually legalize sports wagering, and that like Delaware, the Oregon Lottery is already fundamentally empowered to oversee the industry. Oregon has a strong sports fandom – and requisite strong sports betting – culture. There are several popular NCAA programs across multiple disciplines, though there is only one major professional team based in the state: the Portland Trail Blazers. However, many professional teams in neighboring states are popular in Oregon, and whenever legal Oregon sports betting gets off the ground, you’ll have to pay attention to how much all the “homer” bettors skew various lines. (Incidentally, offshore sportsbooks don’t have this problem with “home teams” weighing lines one way or another.) The clubs listed below are the most popular teams for Oregon residents to wager on. Horse racing betting in Oregon was originally legalized all the way back in 1933, but its history goes back quite a bit further. It is safe to say that horse racing and pari-mutuel betting on the ponies is a permanent and foundational aspect of local OR culture. Portland Meadows is the most famous track in the state, and it is reputed to be the very first racetrack in history to install course lighting and hold night races upon its initial debut in 1946. Portland Meadows hosts both Thoroughbred racing and Quarter Horse racing. The racing season at the Meadows lasts from September through February, and there are approximately 40 days of racing during that span. The marquee race at Portland Meadows is the Portland Mile, a non-graded stakes race. Other horse races are held annually at various fairgrounds (Harney County, Tillamook County) and at Grants Pass Downs. Off-track betting (OTB) is legal in Oregon, though none of the tracks has racino facilities. Daily fantasy sports (aka DFS) is not currently legally recognized in Oregon, which means that it is unregulated in the state. However, not being legally recognized does not mean it is actually illegal, which it isn’t, and both of the top DFS providers – FanDuel and DraftKings – operate in the state (as do other large DFS platforms like Yahoo!). In 2017, legislation was introduced to formally legalize and tax DFS, but the measure failed to receive enough support and was summarily killed. It seems reasonable that official DFS laws will be introduced in the future alongside legalized sports betting, but until then, there is no barrier to entry to OR DFS players. Can I Bet Real Money On Sports In Oregon? Yes, you can bet real money on sports in Oregon. It wouldn’t be very much fun if you couldn’t, after all. However, in order to do so legally and safely, you need to use a legal offshore sportsbook like Bovada, SportsBetting, 5Dimes, BetOnline, BetDSI, or BookMaker. These are the best Oregon sportsbooks, and they boast hundreds of thousands of OR resident customers between them. Is Online Sports Betting Safe In Oregon? Online sports betting is safe in Oregon, provided you use one of the aforementioned legal online sportsbooks located overseas (Bovada et al.). Not only are these sportsbooks 100% legal, they’re also encrypted, secure, and dedicated to customer service. None of your information will ever be sold to third parties, and if you use a cryptocurrency like Bitcoin to handle deposits and withdrawals, you’ll get an even greater measure of security for your sports wagering. 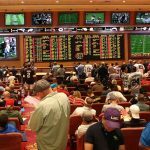 Will Sports Betting In Oregon Ever Be Legal? It seems like a foregone conclusion that sports betting in Oregon will be legal within a short time, comparatively speaking. 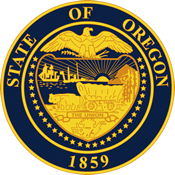 There is movement at the legislative level to authorize the state lottery to manage the implementation of legal Oregon sports betting at land-based venues, and state-based online betting also seems inevitable. However, no matter how long Oregon takes to get its ducks in a row, you can always use offshore sports betting sites in the meantime. Will I Get Arrested For Sports Betting In Oregon? No, you will absolutely not get arrested for sports betting in Oregon, as there is no law stating that individual bettors cannot place wagers over the Internet. If you use an offshore sportsbook, which is also allowed to operate legally (as these all exist outside of US legal jurisdictions), you’re 100% in the clear from a legal perspective and will not get cited, fined, detained, arrested, or prosecuted for committing any crime. What Is the Sports Betting Age In Oregon? Technically, there is no legal sports betting age minimum in Oregon, as there is no land-based sports betting yet available in the state. However, if you use an offshore book, you must adhere to their age minimums: 18 years old (in most cases). If you attempt to wager with these books while under 18, your funds will be confiscated and your account will be permanently suspended. Are There Mobile Sports Betting Apps Available In Oregon? There are no mobile sports betting apps available in Oregon, at least from an “official” App Store or Google Play perspective. 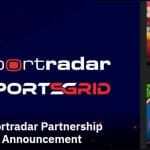 These platforms simply don’t allow real-money offshore sports betting sites to offer native apps in the US marketplace. However, this isn’t to say you cannot enjoy mobile sports betting with all the top offshore books – you can! All of the industry-leading offshore OR betting sites offer mobile-optimized versions of their award-winning websites, where you can wager no matter where you are in the state (or the rest of the US). All you need is an iPhone, iPad, or Android device, and an Internet connection! Where Is The Best Place To Bet On Sports In Oregon? There is no best place to bet on sports in Oregon, as land-based sports betting lounges have not yet come to the state. However, given that you can wager on sports on your cellphone from anywhere in the state, the “best place” to place wagers is literally anywhere you have a data connection and a few minutes. You can bet while standing in line at the deli, while eating in a restaurant, or even while hiking through any of Oregon’s beautiful natural landscapes. Should I Use A Local Bookie In Oregon? You should definitely not use a local bookie in Oregon. While it isn’t illegal for you to do so, that bookie would be operating an unambiguously illegal enterprise, and you might get caught up in a police sting or simply have the black market bookie renege on paying out your due winnings. The bookie could even skip town with your cash, and you’d have zero legal recourse or opportunity to recover your money. Why risk it when online, offshore betting is so much easier, more reliable, and more convenient? Do Any Casinos In Oregon Have Sports Betting? No, there are currently not any casinos in Oregon that have sports betting available. However, whenever the state legalizes the practice (or formally empowers the state lottery to institute land-based sports wagering), you will surely find plenty of options at local casino sports betting lounges. Plus, if the lottery really controls the product going forward, you might even be able to wager at remote kiosk locations at convenience stores and the like (basically anywhere lottery tickets are sold). Is It Legal To Bet On Sports With My Friends In Oregon? Yes, it is absolutely legal to bet on sports with your friends in Oregon. This is called “social gaming,” and the Oregon Revised Statutes have specific carve-outs for almost every kind of private gaming, including sports betting. The operative law can be found at RS 167.121, which states that “social game” means “a game, other than a lottery, between players in a private home” where nobody is collecting a house take. This implicitly includes legal Oregon sports betting, because the only type of gambling excluded is a lottery.